Pennsylvania is a very popular state to pan for gold in the Northeast. Although the state is mostly known for its coal and iron deposits, there have been gold discoveries in Pennsylvania as well, mostly small grains and tiny nuggets. Lancaster and York counties offer arguably the best chances for finding gold, along with the northern part of the state that was affected by glaciation. The southern extent of the glaciers that are responsible for so much of the gold in the Northeastern U.S. is found just south of the New York/Pennsylvania border. The northern sections of the state where the glaciers carved out terminal moraines and left behind small amounts of gold as they receded are good place to start your search for gold. These areas of Pennsylvania offer more opportunities, again in the rivers and streambeds, to potentially find gold. One specific area worthy of note is Wyoming County in Northeastern Pennsylvania. It lies in the center of many of the gold discoveries in the state. Beginning there and the surrounding counties are also good places to start your search for gold. The Susquehanna River has produced both gold flakes and nuggets over the years. The Susquehanna River flows through the town of Tunkhannock. Gold can be found all throughout this area in many of the creeks that drain into the river. Stony Brook Creek found near the town of Bloomsburg will also produce some fine gold as well. Meshoppen Creek flows into the Susquehanna at Meshoppen and will also produce some “color” for a hard working prospector. Fine placer gold has been found in the many streams of York and Lancaster Counties. In York Country, gold deposits at the tops of ridges have often found their way down to the streams and rivers below, making for another good place to pan for gold. In particular, the areas around the towns of Dillsburg, Grantham, Wellsville, and Rossville are known to have gold present in many of the streams in this area. Bermudian Creek, Conewago Creek, and their tributaries are worthy of investigation. In Lancaster County near the town of Quarryville, check out the Susquehanna River. This is a large river that does contain some very fine gold. Even small platinum particles have reportedly been found here. Finally! The Ultimate Gold Panning Guide! Some people may be surprised to learn that much of the gold that has been mined in this state came indirectly as a by-product of iron mining. The mines in Cornwall for example have produced more than 60,000 ounces of gold, a considerable amount for a state where most people think gold does not exist. Apart from Cornwall, the Grace Mine in Morgantown also reported discoveries of gold as well. There are several other areas in the state where gold is likely to be found, particularly the eastern section where potential lode gold occurrences may be found. Another area that gold can be found in Pennsylvania is at mines near the town of New Albany. The New Albany Gold Mine and the Three Brothers Gold Mine are found not far outside of town and fine gold can be found in the creeks around this area. Rivers and streambeds transport fine gold and help to concentrate the fine gold that exists in the gravel and debris. Since iron and coal mines often have produced gold as a byproduct, you may want to look in the surrounding streambeds of mines that have produced gold in the past. 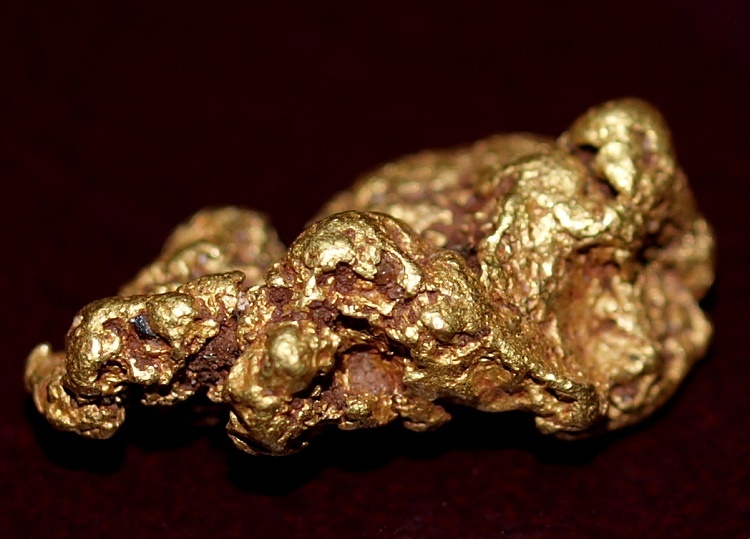 Many of the old mine reports claim gold occurrences of a few cents worth of gold per ton of ore. There is a fairly decent sized gold prospecting community in Pennsylvania. If you are new to prospecting, or would just like to meet fellow prospectors in your area, be sure to take a look at the various clubs out there. There are currently 4 different Gold Prospectors Association of America (GPAA) chapters in Pennsylvania. Many of the members have a lifetimes worth of experience looking for gold in the state and can be an invaluable source for information. Additionally, they often have outings throughout the season at different gold bearing creeks around the states. 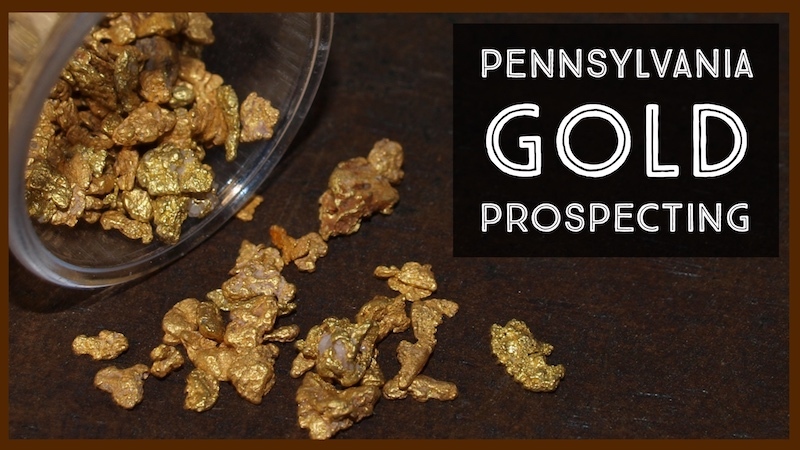 This is a great way to learn about prospecting in Pennsylvania, as well as meet up with like-minded individuals who love hunting for gold nuggets!